Oh what a night! 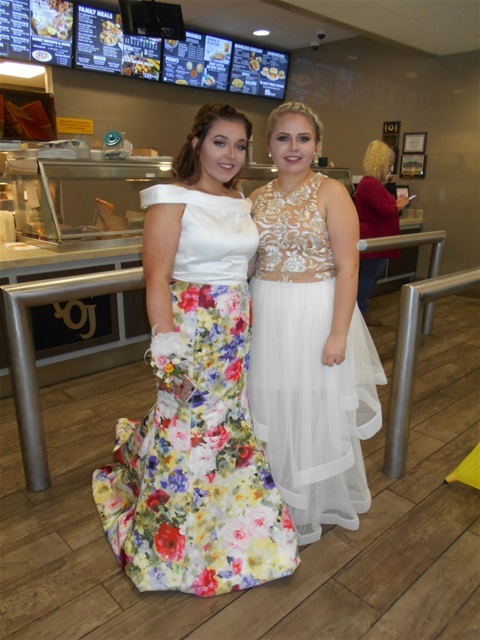 Jenna-Grace Welch (17) and Brook Thomas (16) stopped in to have their prom pictures taken on Front Street and detoured for a bite to eat before heading to Johnsonville's prom. Jenna's gown caught my eye as she walked in. The skirt has a stunning artistic pattern with a three foot train while Brook's gown is perfected in sheer white elegance. Both of these beauties stopped to pose for a picture while Mom stood close by.